Tajikistan’s Gas Boom: Prosperity or Conflict? Natural gas resources could be a boon to Tajikistan, but the downside risk is significant. China’s vigorous quest to secure consistent gas supplies may help underwrite a natural gas-fuelled boom in Tajikistan, which so far has been Central Asia’s poorest and most energy-starved republic. A gas boom in Tajikistan will require astute financial and political management to minimize disruptions that sudden, large foreign investments and revenue inflows could cause. Dushanbe will also face foreign policy challenges from increased competition between Russia, which considers Tajikistan part of its Near Abroad, and China, which will likely become Tajikistan’s most important economic partner. Tajikistan’s Bokhtar region – which at 35,000 square km is larger than the American state of Maryland – could hold as much as 114 trillion cubic feet of gas and 8.5 billion barrels of crude oil and/or condensate, according to Gustafson Associates. As such, Tajikistan’s gas and oil reserve base could ultimately prove to be on par with that of the world-class offshore gas discoveries being made off East Africa. In March 2013, CNPC spent US$4.2 billion to purchase a 20 percent stake in Mozambique’s Area 4 from Eni of Italy. Area 4 could contain 75 trillion cubic feet of gas – enough to supply China’s annual consumption for 14 years, based on 2011 demand levels. Yet in Tajikistan, CNPC could potentially access even larger reserves, with the added bonus that geographic and security constraints make them captive supplies for China’s large and growing natural gas market. With such reserves at stake, it is no surprise that China National Petroleum Corporation (CNPC) will, through its Central Asian subsidiary, be deeply involved in Bokhtar’s development. CNPC has invested alongside the French Company Total SA and Tethys Petroleum, the latter being the independent firm that kicked off the Bokhtar exploration program. CNPC’s most significant contribution to the deal is that it controls Chinese natural gas imports from Central Asia and can thus quite literally provide a direct pipeline into China’s rapidly growing natural gas market. While CNPC’s willingness to invest in a risky frontier project such as Bokhtar sheds light on the potential of Tajikistan’s gas production, it also highlights how hard China is working to secure gas supplies. China craves gas to fuel cleaner economic growth. In addition, ensuring that Bokhtar gas (and possibly condensate and oil) ends up in China will also help alleviate the skyrocketing environmental, health and political costs of China’s overreliance on coal. 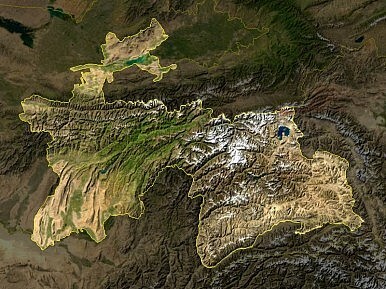 Tajikistan has the potential to become China’s second-largest source of Central Asian gas (second only to Turkmenistan). It could supply enough gas to fuel twenty 1,000 MW gas-fired power plants, equivalent to replacing 35 million tons of coal use each year. Tajikistan’s huge potential gas reserves, and potential to export primarily to China, will likely reduce Russian influence in the Central Asian energy space, particularly relative to China’s growing heft. When negotiating with Central Asian oil and gas producers, Russia’s main objective has been to keep exports flowing through Russia so as to hold their economic livelihoods at risk. China’s willingness to fund alternative pipelines and invest in drilling and production undermines Moscow’s approach. For the Tajik government, China is an attractive alternative partner because Chinese firms can inject badly needed capital, and the Chinese government is substantially less intrusive than the Russian government. China certainly seeks regional influence and pursues Central Asian cooperation on issues such as security in Xinjiang, but has thus far refrained from treating Central Asian countries as vassal states, as Russia tends to do. Finally, if China were to be dependent on Tajikistan for resources, Dushanbe would be empowered by its new ability to play Moscow against Beijing, and would be better positioned to secure its interests – a strategy Kazakhstan has followed for years now. What can we learn from the recent release of jailed Tajik journalist Khayrullo Mirsaidov? Can Kazakhstan’s Privatization Plan Succeed?A Fillip for the TAPI PipelineBangladesh: Asia's New Energy Superpower?Central Asia’s Energy RushChina’s Energy Rebalancing: A New Gazpolitik?